Brooklyn Digest: Books: "The Life List Of Adrian Mandrick"
White makes her literary debut with the wry and incisive novel, The Life List Of Adrian Mandrick. Adrian Mandrick, a pill-popping anesthesiologist and avid birder, embarks on a quest to find one of the world's rarest, likely extinct, species. He has allowed nothing to get in his way, including his wife's growing concerns, his children pulling away, and his own dark family history; until he is forced to confront each of his obsessions and what they have cost him. Adrian, 41, is a man of contradiction, as he wants to be a good doctor, a loving husband, and a caring father, while also seeking solace in the very pain medication he prescribes after he received a call from his estranged mother, which leaves him spiraling downward into addiction. The only thing Adrian finds comfort in is his "life list," the all-encompassing record of the 863 bird species he has spotted and identified. After Harry Lassiter, a rival birder who held the region's second-longest list, dies suddenly, it is clear to Adrian that he has an opportunity to make his way to the top. Adrian starts a manic quest to find the Ivory-billed Woodpecker, thought to be extinct, which eventually leaves him stranded in the swampy wilds of Florida's Panhandle, forcing to face the dark realities of his present state and the secrets that are long-buried in his past. White writes here of how Adrian's dreams are consumed by his quest, "That night, he dreams of the woodpecker. Adrian is Alexander Wilson, the bird painter, and he has the huge ivorybill attached to his waist by its leg with a telephone cord. They're traveling in a carriage across the small farms and jungled forests of the South looking for a hotel, and as they enter upon a rickety bridge that crosses moving water, a muffled cry rises from below. Adrian (Alexander) yanks back on the reins to stop the horse, planning to search for the sound. But as he starts to climb out of the carriage, the bird begins pecking at his chin and face trying to get free, and when Adrian attempts to unhook the bird - it wasn't worth it, he thinks; what was he thinking, he thinks; why would he tie a living creature to his waist; how had he traveled so long without asking this simple question - the telephone wire is coiled around the bird's neck and wings, around Adrian's forearms, binding his wrists, choking them both, the bird piercing his eardrums with its wailing. Adrian and the bird fall, in a flailing and constricted mass, to the floor of the bride, flailing, writhing, trapped together as one being, so that with every panicked movement, the cord gets tighter and more tangled. While from under the bridge, the sound inextricable from the shushing of the moving water, the sustained crying - the voice of his mother, hurt somewhere not so very far away, maybe trapped or wounded. He'll never be able to get to her now." The Life List of Adrian Mandrick is a work of fiction, but there is an urgent message of environmentalism at its heart. The Ivory-billed Woodpecker has officially been labeled "extinct" by the American Birding Association due to human destruction of its natural habitat. Reported sightings have created fervent controversy over the bird and inspired many real adventures by birders like Adrian. 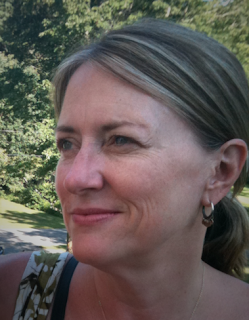 White interviewed some of the top birders in the country in the process of writing this novel and was careful to portray this passionate community accurately. Following in the footsteps of Jonathan Franzen's Freedom and Barbara Kingsolver's Flight Behavior, this novel has the power to change the way we see the world around us. 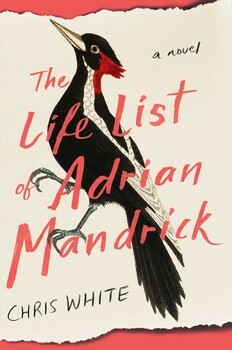 The Life List of Adrian Mandrick is a gripping story of environmental adventure, elegantly written by White, the newest star in the literary world.